exclusively blended Massage Oils and Gels for professional Massage Therapists. Made from natural vegetable oils, it provides a soothing massage that nourishes the skin leaving it feeling silky soft. If you can’t already guess from the name ‘Hyrdo’- our oils hydrate the skin, leaving it soft, moisturised and non-greasy! 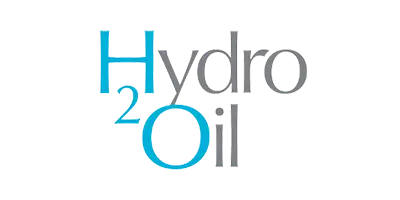 Hydro 2 Oil offers a comprehensive solution for Massage Therapists and Industry professionals alike, click here to learn more about us. Warm Up massage oils scientifically formulated to assist in the preparation and recovery of the muscles before and after exercise.The combination of heat and massage helps to loosen and warm up muscles and soft tissue while stimulating blood circulation to prevent Injury. Extreme Sport massage oils are unique blend of essential oils renowned for their pain relieving and warming qualities. Helping to massage away muscular aches and pains while relaxing tense muscles it will leave the body refreshed after exercise. Ideal as a natural pain relief alternative to invigorate muscular fatigue. Use after exercise or injury to assist in faster healing. Pain relieving and warming qualities. Relaxes tense muscles; leave the body refreshed!. Relaxation massage oils uses a calming blend of Lavender and Tea Tree essential oils to soothe tired, aching muscles while also promoting relaxation for the mind and body. With a light, refreshing fragrance, this oil will encourage a peaceful night’s sleep and help the body unwind after a busy day. Promotes relaxation of the mind and body. Sweet Almond massage oils are light, odourless, non-greasy and versatile oil that is easily absorbed to protect and nourish the skin leaving it soft and smooth. Highly nutritious, rich in protein, minerals and vitamins, Sweet Almond is suitable for use on all skin types and is especially nourishing on dry or sensitive skin, making it ideal for facials. Rich in protein, minerals and vitamins. Muscle & Joint massage oils are deeply penetrating blend of wintergreen, eucalyptus, pine, rosemary and pepper essential oils to help relieve inflamed joints, stiffness and muscle pain. Massage into sore, tight muscles to supercharge circulation and reduce pain and inflammation. This oil is ideal for athletes or anyone experiencing aching muscles and joints. Unscented massage oils contains nourishing blend of soya bean oil, jojoba and grapeseed oil enriched with Vitamin E to promote smoother, younger looking skin. Leaving a silky moisturised finish, the light texture is easily absorbed and is ideal for all skin types. Odourless, this blend is perfect for use with essential oils without altering their fragrances. Odourless – the perfect carrier oil!. Exclusively blended for Professional Massage Therapists, Hydro 2 Oil Grip n’ Glide Massage Gel offers superior control and cleanliness when performing massage treatments. The versatility of this gel makes it ideal for facials as well as relaxation massage, with the smallest amount allowing quick warm up with gliding strokes. Fast absorption into the skin assists in providing more grip for use in remedial and deep tissue work. Cleans easily from towels and clothing. More control, no spills, no wastage. Nourishes and soothes the skin, enriched with vitamin E.